That organic fruit market above looks mighty awesome, doesn’t it? Can you believe it’s actually part of a brand spanking new early learning centre in New South Wales? I know – mind blown! Come and take a walk through the doors, and soak up the miniature goodness – from teeny fruit market trolleys to an indoor ‘lake’ this is one gorgeous space. 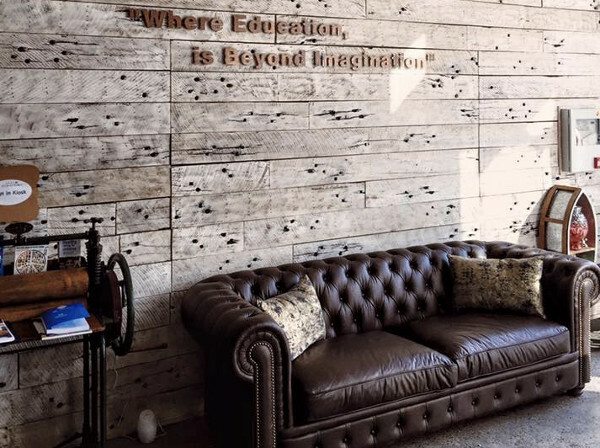 We’re softies for great learning spaces for children, from spectacular kindergartens to a Parisian child care centre boasting a giraffe. 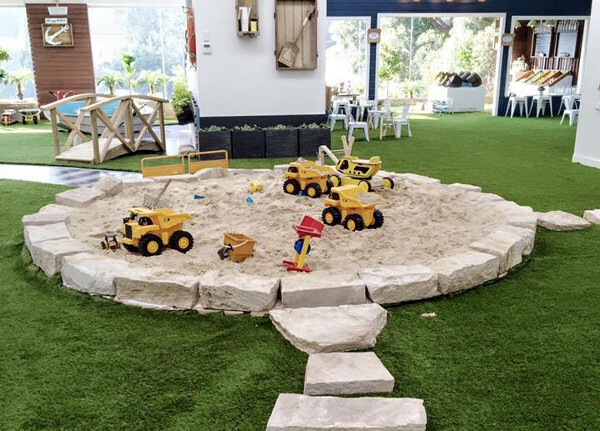 But what we really love is discovering brilliant centres on home soil, like The Green Elephant, and this shiny new Little Scribblers Early Learning Centre in Brookvale. It’s yet another great example of fostering a love of knowledge in children, by allowing them to learn through play. 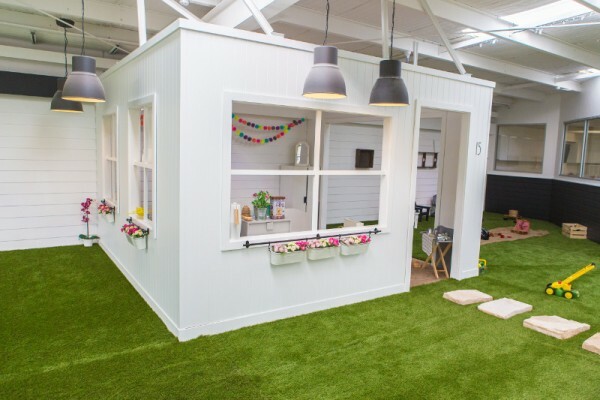 The Brookvale Little Scribblers centre has plenty of different little zones for the kids to explore. There’s the delicious organic fruit market, complete with trolleys, the indoor sandpit and little kitchen. 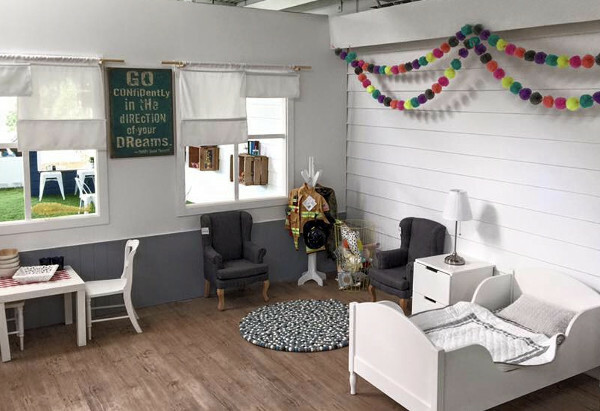 Director Jacklean Daniels tells Babyology there’s a big focus on creating environments within the centre that reflect the real world. There’s a post office, railway station, organic fruit market, coffee shop and even a pretend house. 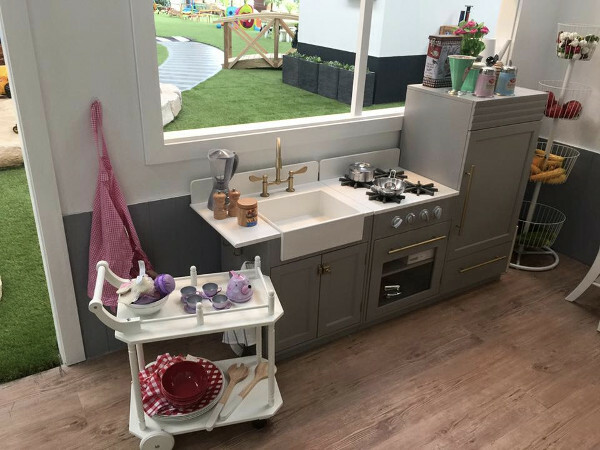 “These environments were designed to foster children’s development and understanding of everyday routines and services utilised within the home and the wider community, further these environments focus on the development of both social and cognitive skills which in turn allow the child to make sense of the world that surrounds them,” Jacklean says. There are quiet areas for the kids to wind down. 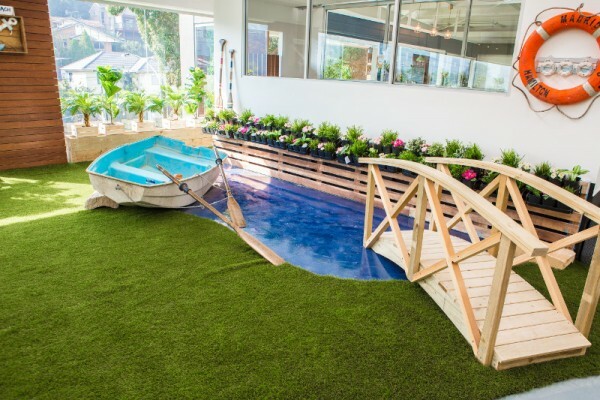 And there are places where they can let their imaginations run wild – like the indoor ‘lake’ complete with bridge and wooden boat. The centre caters for babies through to six-year-olds. There’s also a pre-kindy program for little ones between the ages of three and six, to give them a helping hand as they begin the transition into formal education. We’re taking our hats off to yet another simply stunning Australian early education provider – we really do live in the lucky country.